The world’s first totally digital intercom commercially available, having won the last 2 World Rally Championships with Volkswagen. The radical new design of the DG-30 offers pre-programmed digital noise cancelling technology for dramatically improved clarity and performance. Different voice audio settings via the “EQ” button and various levels of digital noise cancelling to suit various noise levels of cars, the adjustability of the DG-30 is unmatched. 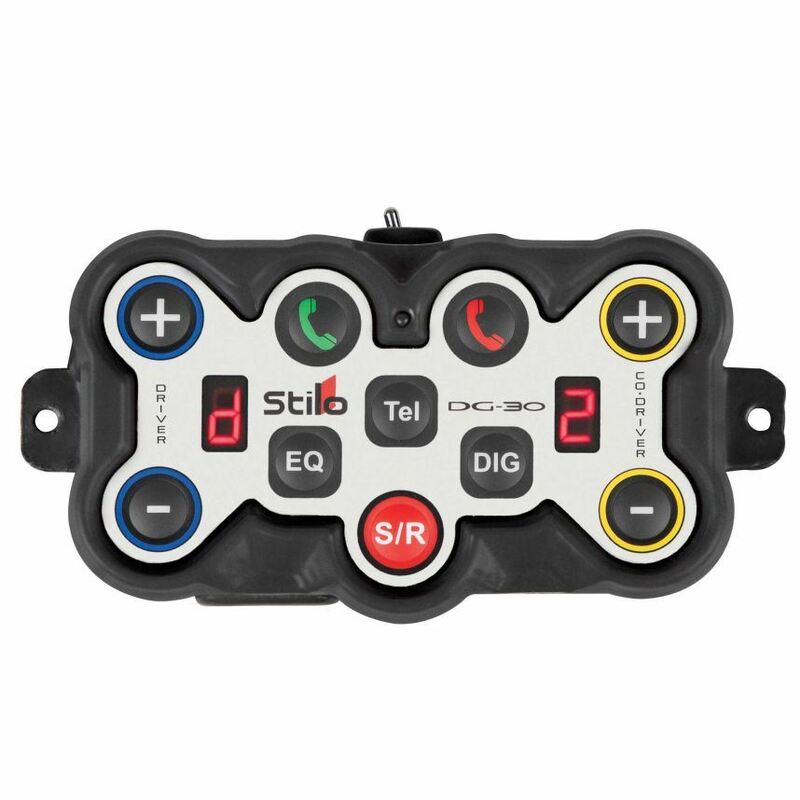 Consisting of 3 seperate components: the control panel with all system controls placed within easy reach of the driver/co-driver, the main box which is located out of the way containing a built in SIM card slot - it has a much simplified telephone operation utilising the memory of your SIM card with pre-set speed dials, and finally an external aerial further improving the telephone signal. 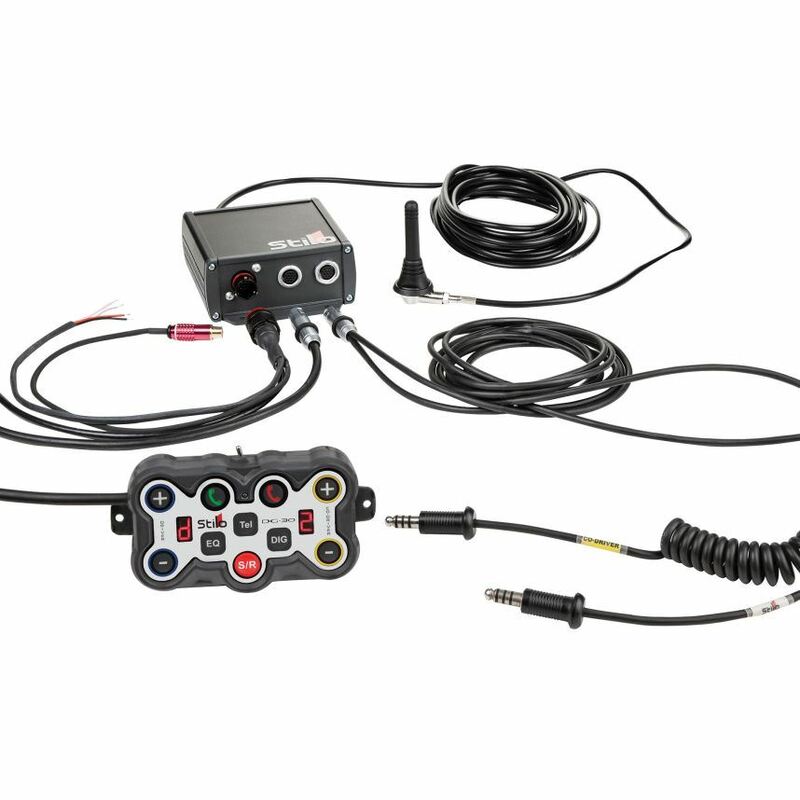 The DG-30 can be connected by wire to the most common car radio systems. The telephone and radio connections are active in Road mode but inactive in Stage mode. 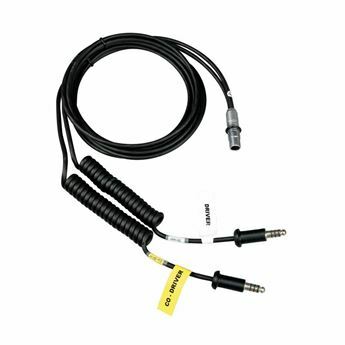 A built in and pre-set emergency analogue intercom, stage and road modes and a specific camera output complete the impressive list of features. 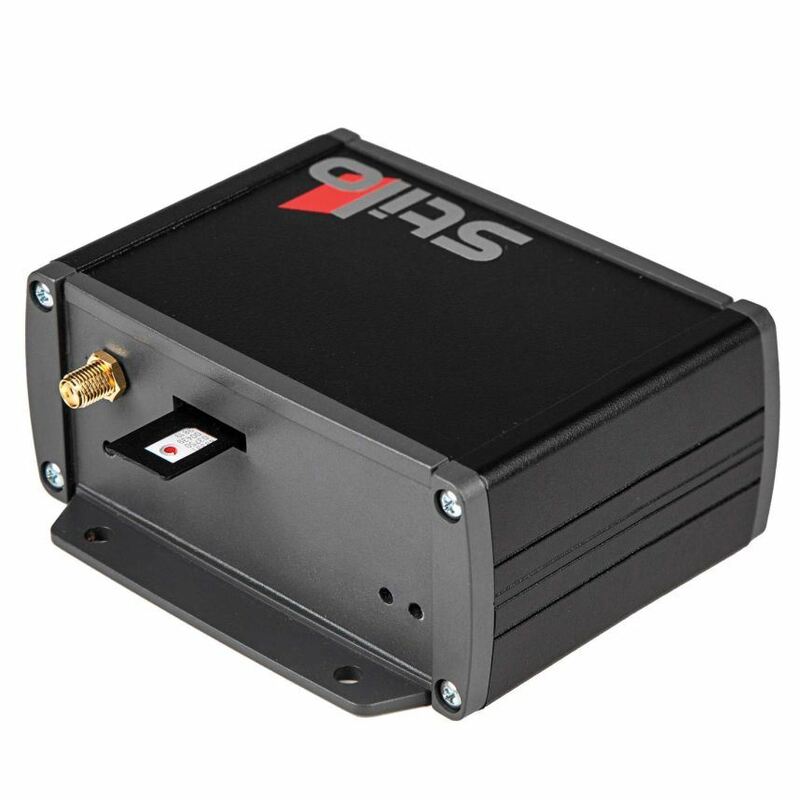 Powered directly from the vehicles 12 volt supply. YB0301 (Amplifier Power Supply Complete With Camera & Radio Connecting Wire). This wire connects both the drivers and co-drivers helmet or headset to the Stilo DG-30 digital intercom / amplifier. 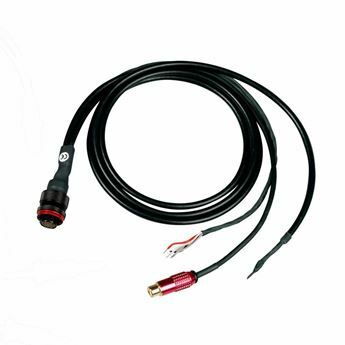 This cable contains the power supply, camera and radio connecting wires for the Stilo DG-30 and ST-30 DES Amplifier.